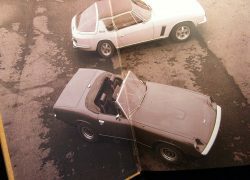 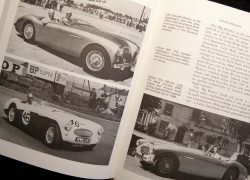 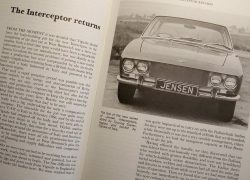 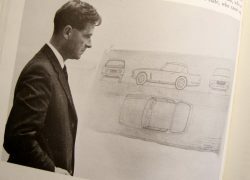 Description: Originally published in 1974 while Jensen Motors was still in operation, The Jensen Healey Stories is a must for the bookshelf of anyone interested in this car company. 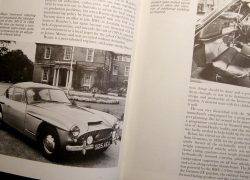 Having been out of print for in excess of 20 years, we acquired 100 of this title, which have had beautifully hand-bound. 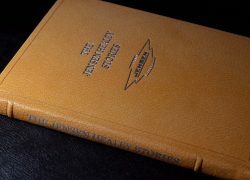 Special Binding: Covered in tan pigskin, the cover sports fine deeply embossed matt aluminium foil blocking with two raised bands to the spine. 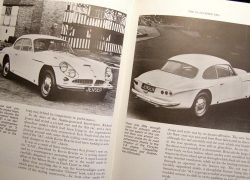 The page ends are matt aluminium gilted and the book has fine sepia printed endpapers using an original Michael Cooper image. 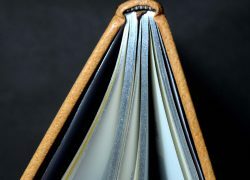 The finished book bears its unique limited edition number page (between 1 – 100) and a tan silk ribbon marker allows the reader to mark the page they are reading. 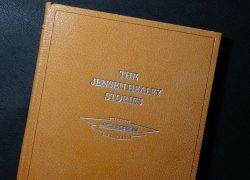 Supplied within a tan linen archival slip case bearing the Jensen Motors logo.